Hey, everyone! 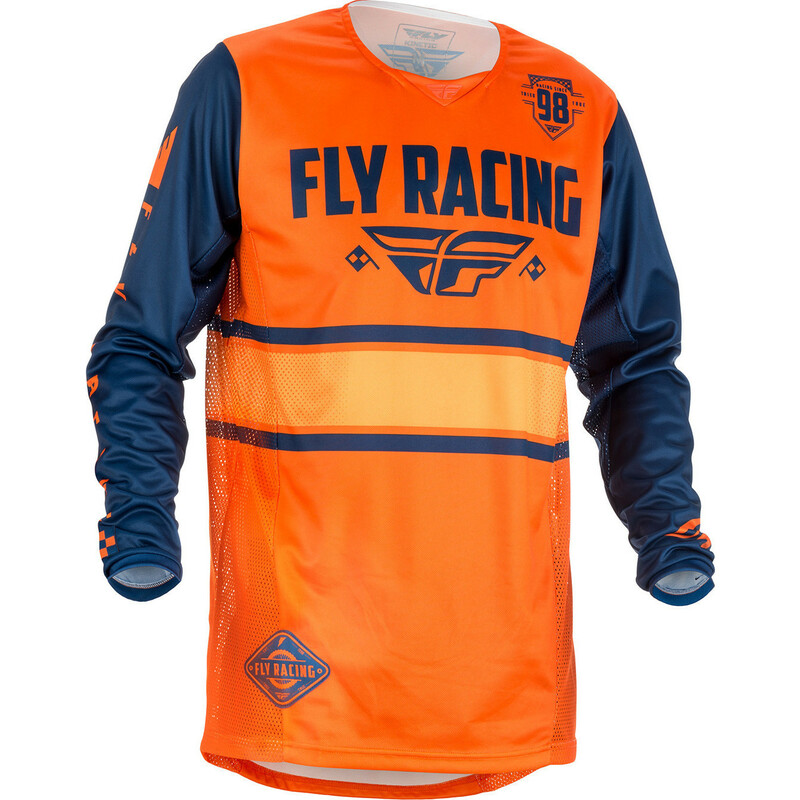 We’re getting quite a bit of Motocross gear in lately so I figured I’d write up about some more of them while the news is still fresh. We’ve had a good load of Oneal gear in that I’ve already written about but now we’ve also got in some of the Fly Racing 2018 goodies! 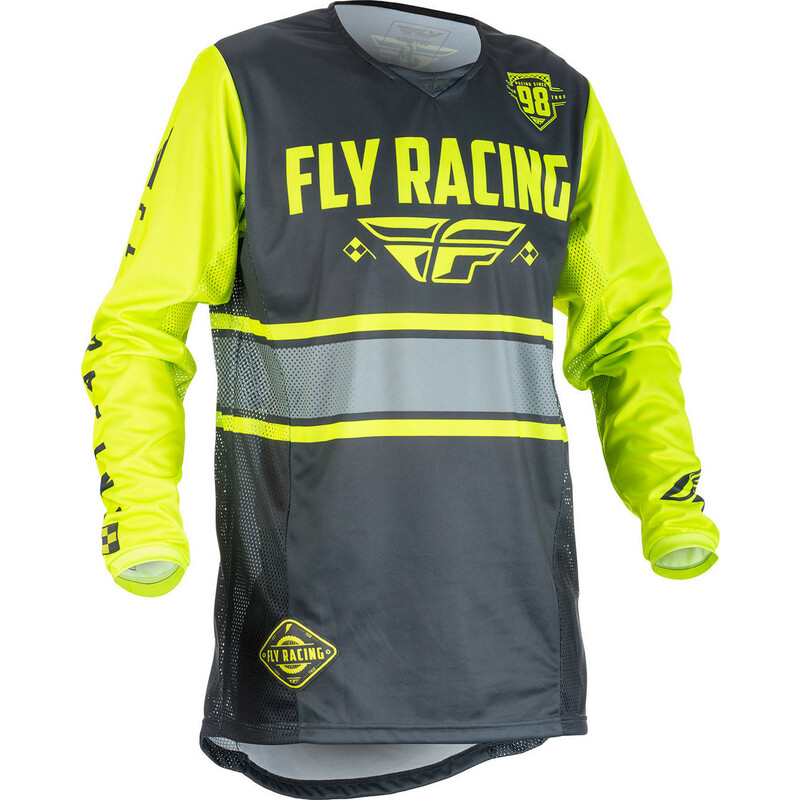 The most notable of which is the new Fly Racing 2018 Kinetic Era motocross gear. The design on the Kinetic Era gear is simple compared to a lot of other kits that have a mess of colour and shapes thrown all over them. But the Kinetic Era gear has a more classic style and vibrant colours to ensure that you look great and are definitely going to be seen. 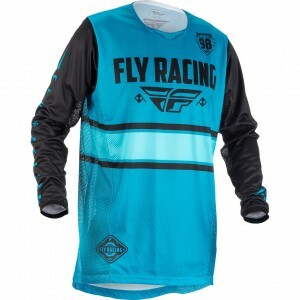 The graphics and colours in the jerseys are all sublimated too, so those colours will stay bright and vibrant over time, ensuring the competition will always recognise who’s ahead of them. 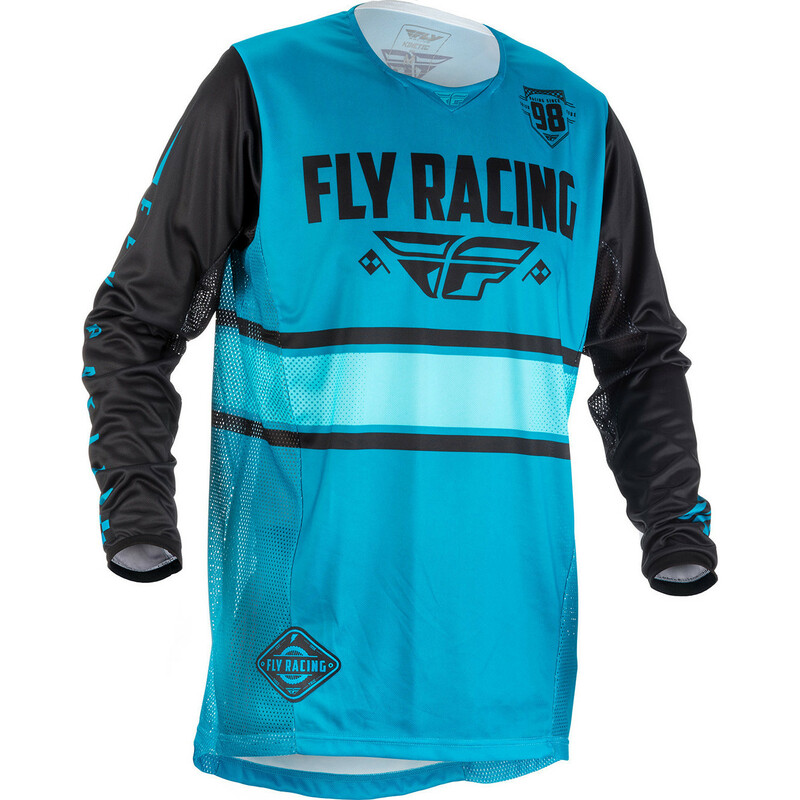 The Fly Racing 2018 Kinteic Era Jersey is made from a multi-panel construction and is designed to a standard fit, so that the way the jersey has been made to be comfortable whether you get a size to fit your body or a size to fit your body while you’re all armoured up. 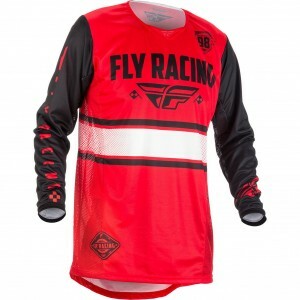 Some of those panels in this multi-panel construction are mesh panels that allow the jerseys to breathe exceptionally well and help to keep you from overheating. 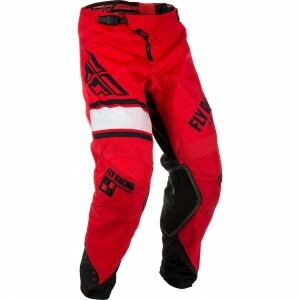 It’s especially handy if you’re a rider who tends to clad themselves in armour for some serious riding which can work up a good sweat. The tail at the back of the jersey is extended too which helps to keep it all tucked in, if that’s how you wear it. 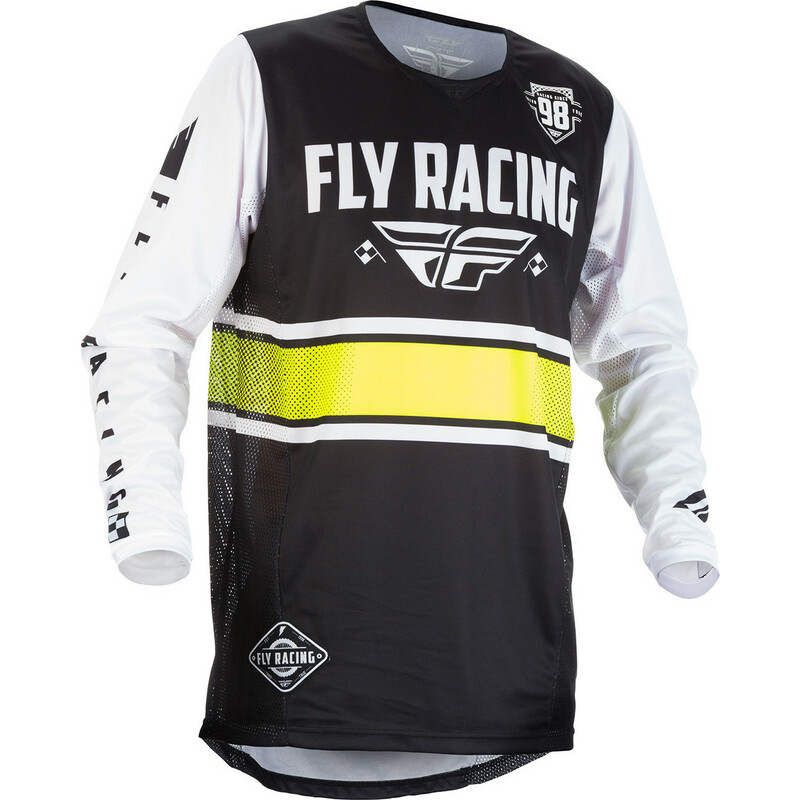 The collar of the jersey has a couple of notable features- and weirdly enough, one of those features is that a certain feature isn’t there. The collar is able to stretch a bit to accommodate a head slipping through but it also means that it’s comfortable if the jersey is pulled on way or another and keeps the material from irritating the skin. The feature that isn’t on the collar but still counts as a feature- the collar is tagless, so there are no irritating little bits of material rubbing and scraping at the nape of your neck. For £29.99, this is a very comfortable jersey made by people who know what an MXer needs to stay relaxed but stay focused. 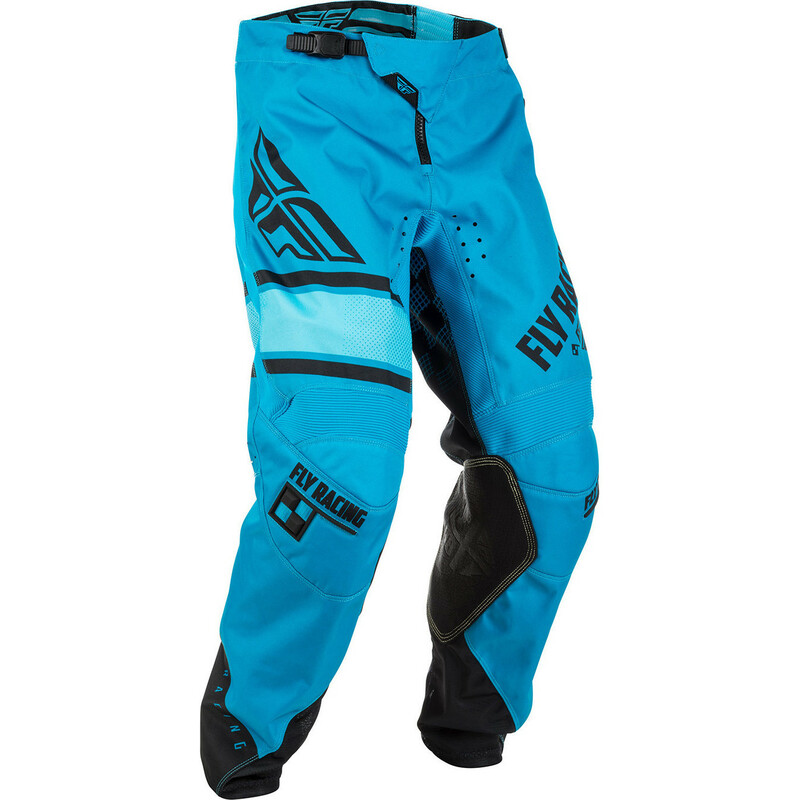 The Fly Racing 2018 Kinetic Era Pants are made to match the jerseys and their different colours, but at £114.99, these pants have an impressive amount of features that make them a nicely sturdy bit of kit. 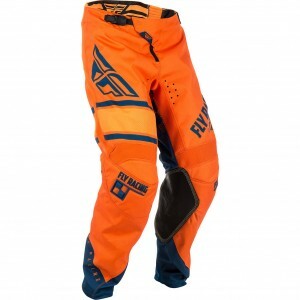 Just for a start, the pants are made up of a 900D multi-panel construction, making them good and tough for taking off-road with giving plenty of breathing room. 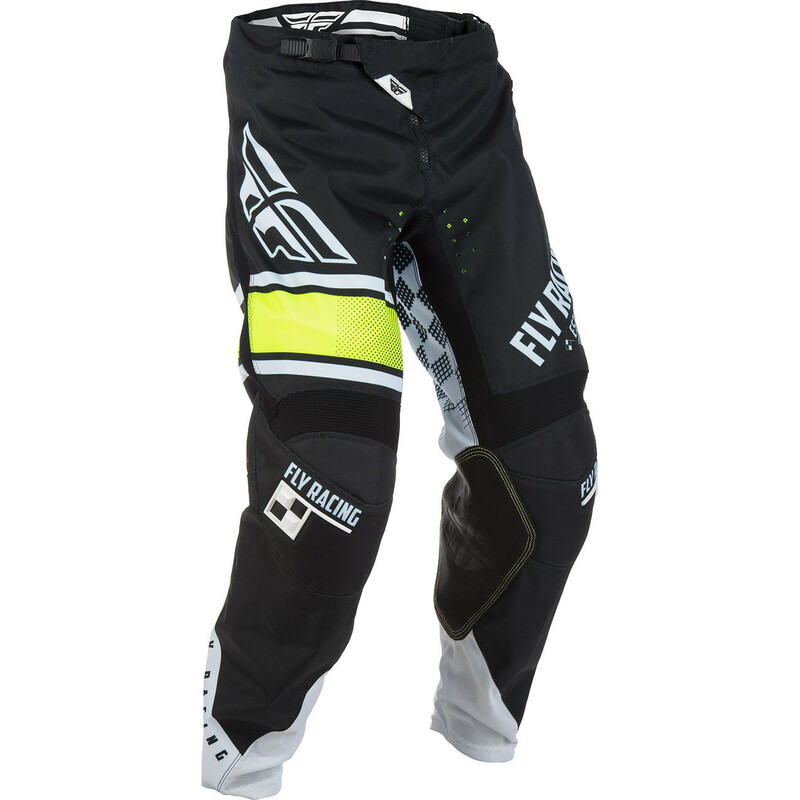 For added protection the Kinetic Era pants have leather heat shield panels on the inside of the legs to keep you from getting toasted by your own engine. And those panels are kept in place with DuPont Kevlar stitching, so those panels are really durable and they aren’t going anywhere. Plus- Kevlar isn’t very good at conducting heat so it’s a prefect material for the job. The knee area and legs on these pants are very well thought out in general- the knees themselves are ergonomically pre-shaped and have a large air intake system that keep them well ventilated as well as having stretch panels to give the knees a lot of freedom of movement. The knees are also designed to accommodate any riders that wear knee braces or guards. 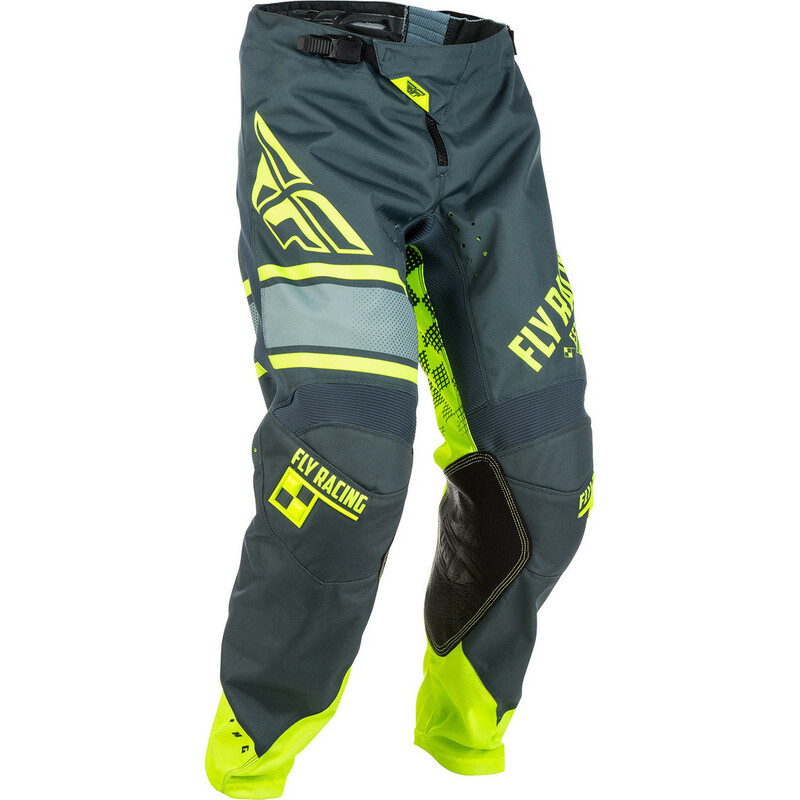 There’s more I could go on about with these pants but all I can really say about them is that they’re very well designed for keeping the rider cool and comfortable- well worth the £114.99 price tag with all the features that help to keep the rider’s mind on what’s ahead.